To hold a job at the best family park in the United States, you have to keep your eyes open. Knoebels Amusement Resort announced on Monday that 29-year-old Edward Joseph Kleman, of Mount Carmel in Northumberland County, was terminated after he was charged with possession of a designer drug and theft of $350 in ride tickets, PennLive reports. Kleman also allegedly fell asleep while operating a Ferris wheel, although a park spokeswoman said no riders were threatened because other staff members were monitoring the ride. Following that incident, Kleman was reassigned to work as a ticket collector. Once in this role, security officials at the park called Locust Township Police to report their suspicion that Kleman was heisting tickets and possibly under the influence of drugs. Authorities said a leafy green substance later identified as synthetic marijuana was recovered from a bag in Kleman's pocket. Concerning the stolen tickets, an arrest affidavit indicates that Kleman believed the discovery was blown out of proportion into the "crime of the century." Kleman waived a preliminary hearing last week and was released on $10,000 unsecured bail in the Knoebels case. He remains jailed in Northumberland County, however, for violating probation in a drunk driving case. 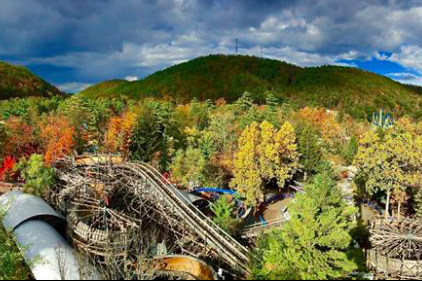 Knoebels, which conducts background checks, is willing to offer second chances but has a "zero tolerance" policy for violations of this kind, a spokeswoman said.